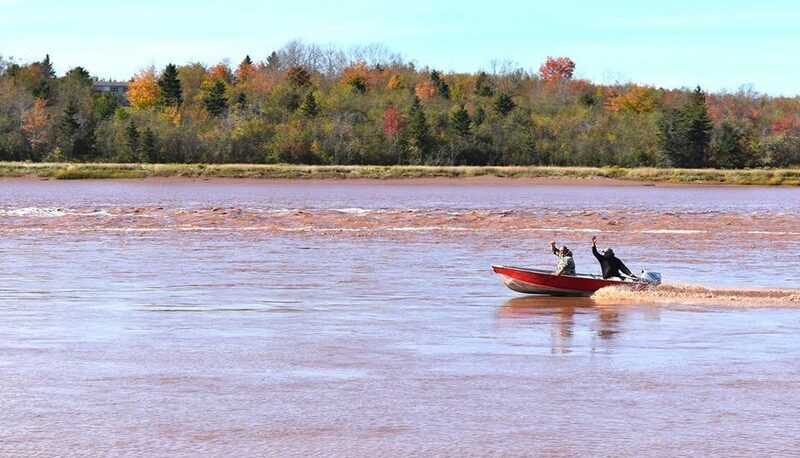 KJIPUKTUK (Halifax) – Based on headlines published over the last couple of weeks it seems Nova Scotia media cannot come to a consensus on what to call the residents of the Treaty Truck House and their supporters along the Shubenacadie River. Water protectors, say APTN, the wonderful Ku’ku’kwes News, and the tiny but mighty Nova Scotia Advocate. Well, it depends on the day you ask us, say CTV and Global, who have used both terms in their headlines interchangeably. In our headlines we call them protesters, say CBC, the Chronicle Herald, the Star, and the Halifax Examiner. The Examiner and the Herald also put the term water protectors in quotation marks when they use it. I suspect many journalists and editors gravitate to the term protesters because it feels like the more neutral term. The problem is, when you take a closer look, you will find it’s not so neutral after all. Apart from connotations, protesters is a term that reflects the settler point of view, and as such it’s a politically loaded term. Water protectors is the term the Ml’kmaq opposed to Alton Gas prefer. When you call them protesters you are taking sides in the clash between an Indigenous view and a colonial view of who really holds title to Mi’kma’ki. We settlers are big on land acknowledgements these days, those reminders that such and such an event is happening on unceded Mi’kmaq territory. From the Mi’kmaq perspective, taking that unceded part to heart, it’s Alton Gas who is doing the trespassing, and yes, the people camped along the river are doing the protecting. Whether colonial courts issue injunctions does not change that one bit, because from this perspective colonial courts don’t have jurisdiction in Mi’kma’ki. “It’s called Truth and Reconciliation. The truth is that this land is unceded territory and the truth is that the federal government does not hold title to this land we’re on. The question of the land has to be addressed, which is the truth before any reconciliation can occur,” said Treaty scholar Michelle Paul at a teach-in a couple of weeks ago. Call them protesters if you have to, just don’t think that by doing so you’re a news organization which does not take sides. Thank you, I had written to the CBC about this as well. When the angry Albertans and their yellow vested friends drove their fuel guzzling trucks across Canada they were called a Pro-Pipeline Convoy. Dale Poulette was one man living in a hut for about 3 years, to stop Alton Gas from destroying the Shubenacadie River, in short, he was protecting the river. Certainly in this case Water Protector is very much appropriate.